Amazing weather in the South Chilcotin Mountains at the Chilcotin Holidays Guest Ranch. The sky is blue and the sun is shining. 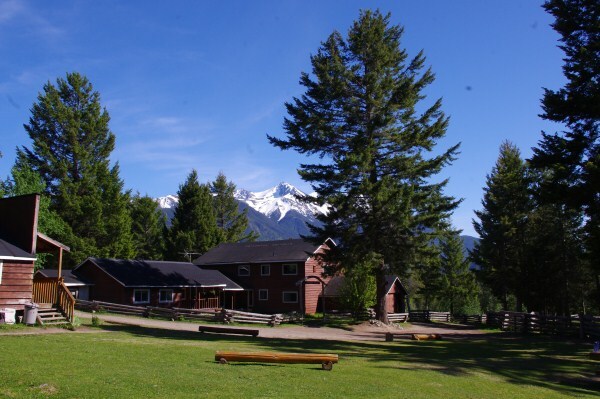 Alison, Bryn, Denise, Hew, Melodie and Sean arrived yesterday at Chilcotin Holidays to take our last 2 Week Wilderness Horse Trail Guide School for this year. They are all very excited to learn new skills to become a Wilderness Horse Trail Guide. Today they started with trimming the hooves of our mountain cayuse horses. At the moment they are learning how to pack a horse and later on they will enjoy the rest of the day on a trail ride. Already a lot new things to learn and the week just started! Are you interested in becoming a horse trail guide in the Canadian Wilderness? 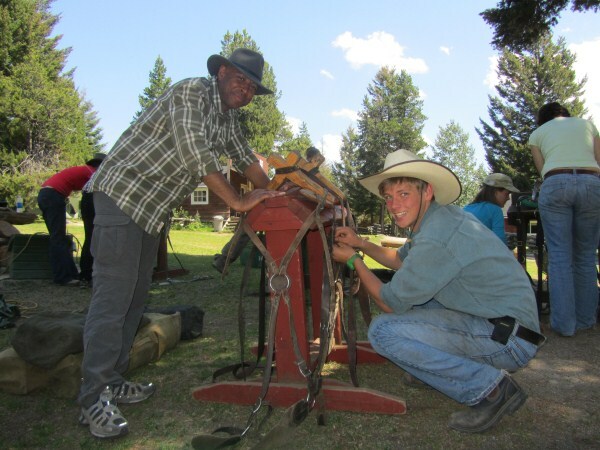 Enrol in one of our 1 Week Wilderness Horse Trail Guide School this summer. Or are you interested in coming in 2013? For more information and dates visit our website, send us an email or give us a call at 250 238 2274.